The different systems and processes involved in glacier formation. The purposes of these systems and processes in our environment. Weathering – also known as a glacial deposition, glaciers have movements and accumulate sediments. A lot of these sediments are stored within the ice. 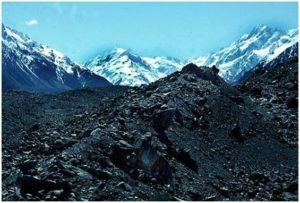 Erosion – because glaciers are heavy and slowing moving, erosion is a big factor in the change of its landscape over a period of hundreds or thousands of years. 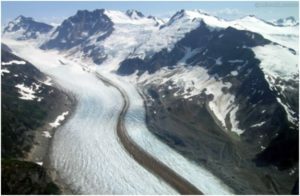 Transportation – after a deformation of materials happens, they begin to move, a phenomenon known as “rivers of ice.” One of the chief contributing factors for this phenomenon is gravity. 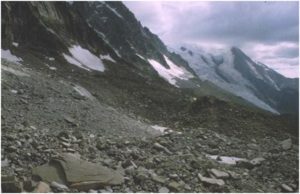 Deposition – as glaciers move, they push massive rock sediments along with them and eventually drop them in new locations. Temperature – many glaciers, especially the ones that can be found in Alaska, are only a few degrees away from zero. The coldest glaciers that can be found on Earth are in Antarctica. 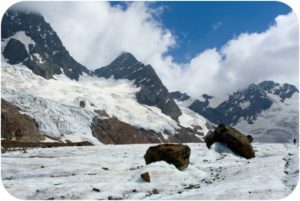 Geology – glaciers start to form when snow resides in the same area for a prolonged period, long enough to build up and become rock solid ice. 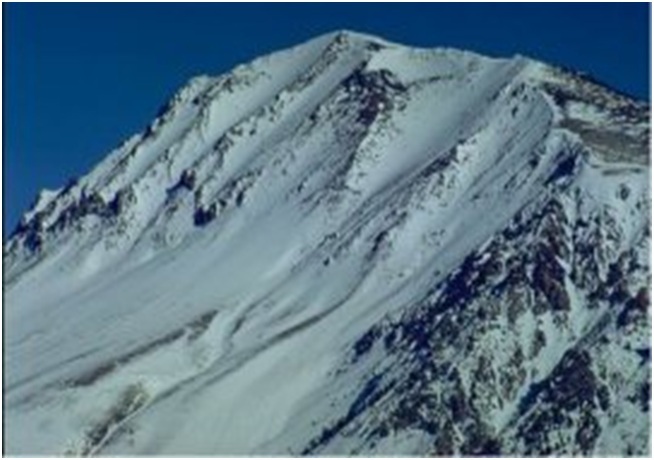 Slope gradient – this is the inclination and steepness of a glacier. Velocity – glacial motion can be as quick as 30 metres a day, but it’s far more common for them to move closer to one metre a day. Weight – it can be difficult to determine the actual weight of a glacier. Regardless, glaciers are extremely heavy because they are made up of very thick and solid ice that has been solidified for centuries. 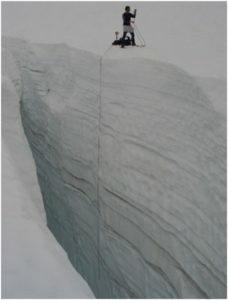 Thickness – for determining the thickness of a glacier, general estimates assume it to be almost ½ of the width of its surface. 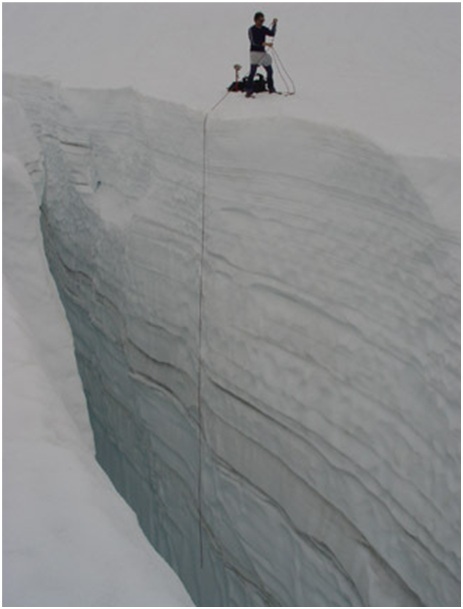 Due to their massive sizes, it is rare for glaciers to be thoroughly measured. 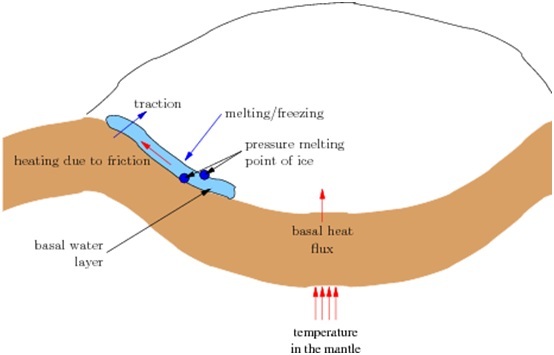 Basal sliding – occurs only in glaciers that are in warm temperatures where the heat melts theice, which in turn acts like grease between the layers of its ice base and its bedrock. 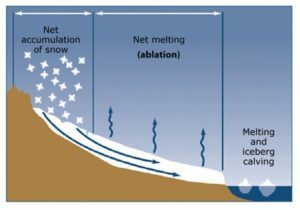 Internal deformation – occurs usually in glaciers in cold temperatures in which the gravitational pull is much stronger and ice crystals fall on top of each other creating a sequence of parallel planes. Extensional flow – when the slope becomes steeper, the motion of the ice becomes quicker which stretches the ice buildup, thinning out the structure that eventually leads to breaks which create a deep, open crack. Compressional flow – the opposite of extensional flow. In this type, the slope is shallower because the ice is experiencing hindrances leading to gradual ice buildup, which causes cracks to be forced together as the rock-solid ice condenses. Abrasion – sediments of rocks and particles caused by the ruined glaciers grate the rock on the same path as the current of ice particles in the valley, causing lacerations to be formed in the glacier. 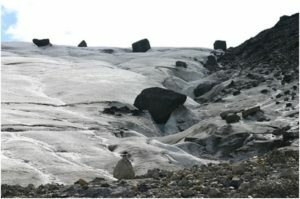 Plucking – a surge of melted ice, located on the glacier’s base, freezes up to the rock layer while sediments from it are being torn down by the glacier in motion. Nivation – a wearing away underneath the glacier. The frequent occurrence of this will make the glacier larger and will create a valley that is shaped like a horseshoe. Frost action – melted ice seeps into gaps and solidify which creates gaps that get bigger beneath the force of ice. With frequent occurrence, it will also break the nearby rocks. 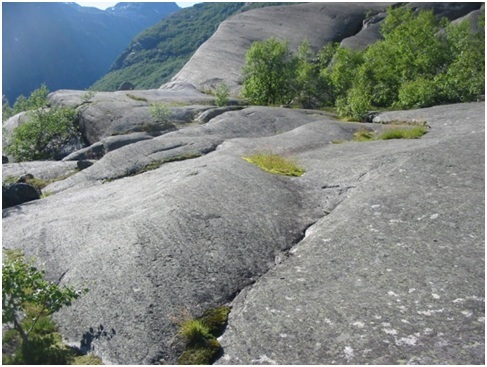 Dilation – the weight of the glacier on top of the bedrock causes cracks to widen and grow longer. Hydraulic action – the water’s force wears away the bed of the melted ice area. The water that comes from the melted ice pushes air into cracks in the bed and the banks which results in loosening of particles. 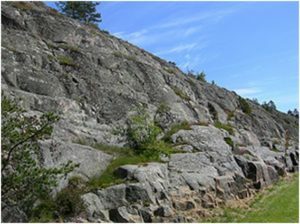 Corrosion – acids in water create a reaction with rocks. This process only happens with a particular type of rock that is affected by acid, such as limestone. Attrition – moving rock particles are tossed against other rock particles during the turmoil. This smooths the shape of the rocks and at the same time lessen their sizes. To conclude, there are numerous systems and processes that are involved in glacial systems. Every system and process is crucial in forming and maintaining glaciers. Though it is a very complex subject, it also a fascinating area of study.